We use the amazing Minecraft online management system - Multicraft. 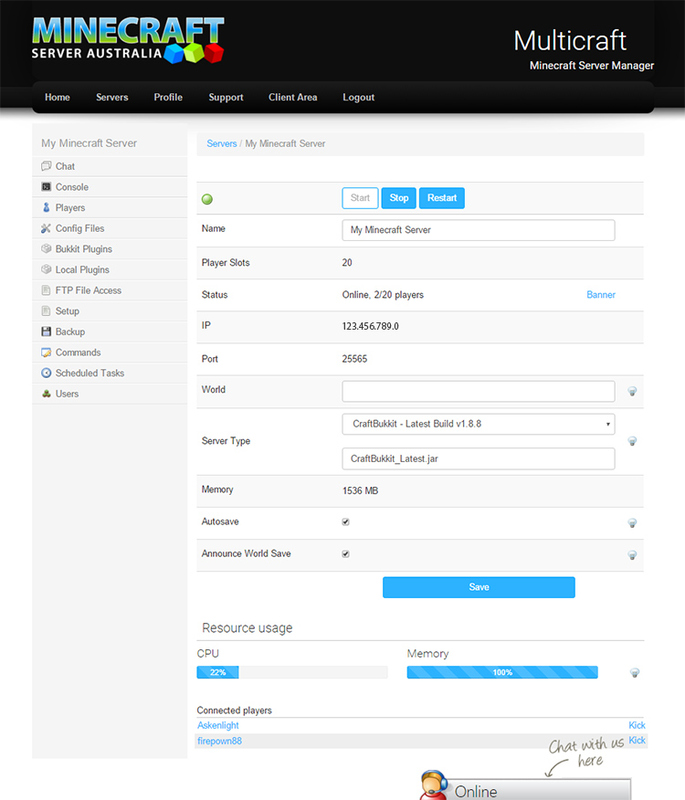 Using Multicraft allows you to manage your Minecraft server on a web interface hosted in our datacentre. We will email the website url address and login detail upon signup. You will be impressed by how easily it is to manage your server using Multicraft and the wide range of options it provides to manage your Minecraft server. Current Modpacks available via our Auto-Installer. Order your own Minecraft Server here at Minecraft Server Australia and begin using Multicraft now.